Enjoy this beautifully illustrated book called Ella and The Mighties, written by 19-year-old Jonna Samuelson and 21-year-old Michael Hernandez! 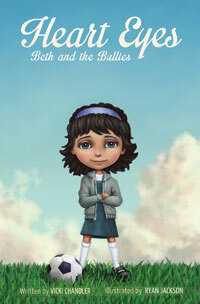 Ella and The Mighties is a book about bullying prevention that shows children the seriousness of bullying, and how their words can affect someone. This book also shows children self-love and respect. Ella and The Mighties features a tiny dachshund puppy named Ella, who is getting bullied in school because of her size. She doesn't know who to go to or how to handle the situation. Ella is very confused and sad until she meets three friends who show her how serious bullying can be, and that she can ask for help. Her new friends also teach Ella, and Ella’s classmates, that judging people by how they look or talk is not okay.